Carlarjenkins.com Alexa Australia Site Ranking Moves Up 12,000 Spots! The good news just keeps coming! 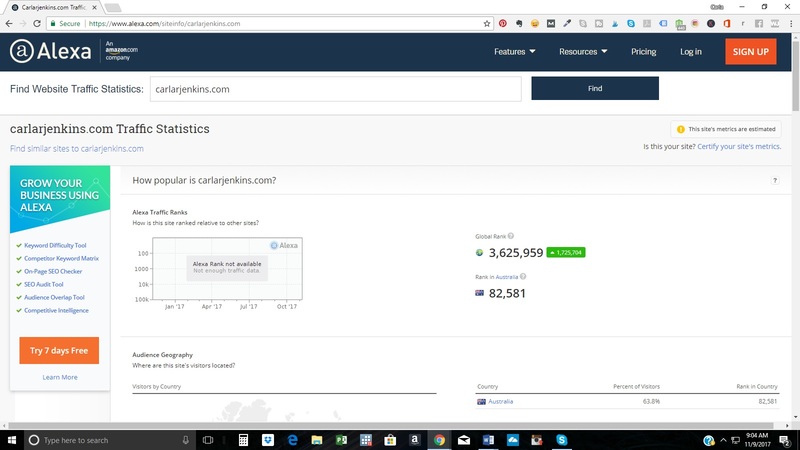 I am happy to announce that www.carlarjenkins.com has moved up over 12,000 spots in the Alexa Internet Australia site rankings. Earlier this month I was pleasantly surprised seeing my site ranked in Australia. Check out my blog at www.carlarjenkins.com.